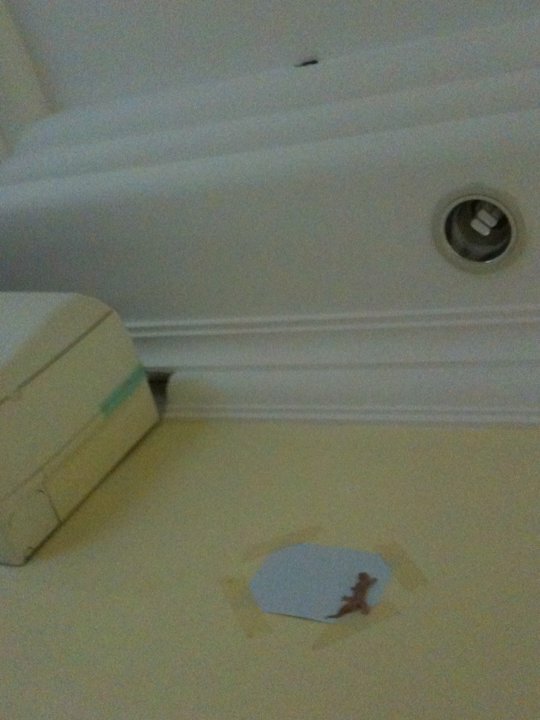 All sorts of methods using rubber bands, sticky lizard traps, masking tape n a rod to hit them. 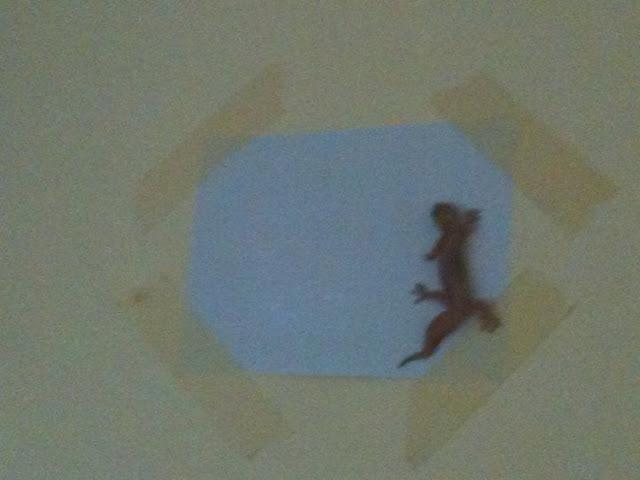 Lizard number 1. Eventually was beaten n flatten by my husband's niece. Eeew. 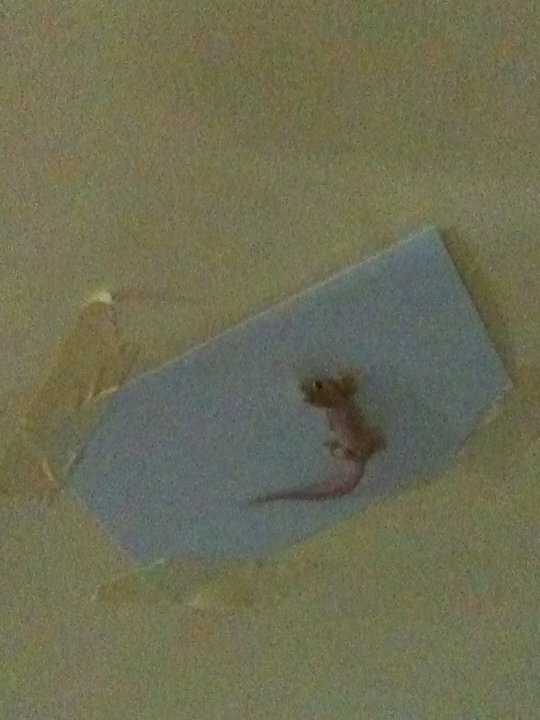 Lizard number 2. It tries to lick the glue off the trap n able to move its head. We placed masking tape over its head to prevent it from escaping n it peed. Eeew! Wanted to capture the little black lizard. To our surprise we discovered 2 big ones and trick them to the sticky traps. They seem to be really enjoying torturing these harmless creatures till they die painfully. Although I am afraid and dislike lizards, I never have such cruel intention and action to torture innocent creatures till they die. Imagine myself dying so tragically, must be very painful, lonely and scared. Just like being kidnapped or trapped, mercilessly tortured till my last breath. Slow and painful death. Nowadays human beings tend to mercilessly destroy creatures and animals for fun or when they dislike them. Probably we need to encounter such experience on ourselves or our love ones to know the feeling of being tortured and killed. Are we becoming more inhuman and evil …. I wonder? Really depressing…. Reminds me of Hilter, Osama and Saddam. They and their followers are said to have ruthlessly tortured and killed human beings. Ruthlessly torturing of all kinds of living things is totally unacceptable, especially to innocent and harmless victims. I will only kill when the creature poses harm to me and I will ensure it dies instantly. Torturing creatures and animals till their last breath is really evil. Sorry to say, I really hate cruel and selfish people who never understand others’ suffering and pain. Even animals have feelings like us. Hopefully, eventually, God will do the judgment and punishment. The above is solely my personal thoughts. No offence to all.